There are many factors to consider when evaluating the value and cost of roller shutters Perth. Here’s our top ten considerations. The size (Width and Height) of your windows or door openings is one of the biggest factors when determining the cost of roller shutters. That’s why we pay particular attention when we measure your windows. 2. Ground floor or higher? We’ll also check the position of every window to determine to cost of installation. Some windows on upper levels/ second story, may require scaffolding for our full-time installers to gain access. With 30 years experience installing on many different types on properties this is one of our top 3 questions. Standard colours are the most affordable. (white, cream or beige) Powder coating affects the cost but gives you the flexibility to match colour schemes. We actually cover a large area of Perth. If you’re outside of Perth Metro then let us know. 6. Manual, Electric or Remote? Our customers prefer our range of electric roller shutters, they are the easiest to operate. We have manual roller shutters available too. 7. Where they are made? We manufacture all our Roller Shutters in our factory in Malaga. So we haven’t got far to transport them. We’re proud that our company provides local jobs. When considering the cost of roller shutters, consider where they are made and how much of the cost is in freight. 8. What’s the Quality of components? 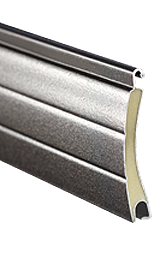 Our roller shutters are made using entirely European components. We made this decision after many years of testing and customer feedback. The cost of roller shutters using strong reliable european motors and components is very competitive. 9. How good is the Warranty? Weigh up the cost of repairs and maintenance of your roller shutters over the long term. We build our roller shutters to last years and years and we are so confident of our manufacturing and installation processes that we offer a Factory backed Lifetime Warranty. Compare that with other suppliers when making your buying decision and remember in our factory if work is needed, it’ll be swift and match our high levels of quality. For large companies, large Sales Team salaries and Sub-Contractor services are hidden costs built into the cost of roller shutters. Be aware of Sales people that get you sign a contract and then organise an “Check Measurer”. Often the so called “check measurer” will request that you to be onsite whilst they ‘once again’ go over the proposed installation. Frequently they’ll insist that the price of roller shutters will increase because of some detail missed by the Sales person. It’s a waste of your time and it’ll cost you more. It’s one of the most common of sales tactics by our competitors and it’s the very reason why at Shutterguard we’ve made it so you don’t deal with sales people, you deal direct with the owner, who gets the price of roller shutters right the first time. So when researching the cost of roller shutters Perth, consider Shutterguard Roller Shutters. When you deal with the best you’ll get the best. 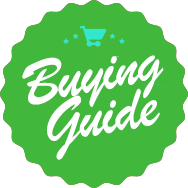 Read our Buying Guide to compare our features. Congratulations on doing your homework! Searching for “cost of roller shutters” or “average cost of roller shutters” or “cost of roller shutters for windows” and “cost of roller shutters Perth” will give you some more results to compare.